The two volumes of F.P. 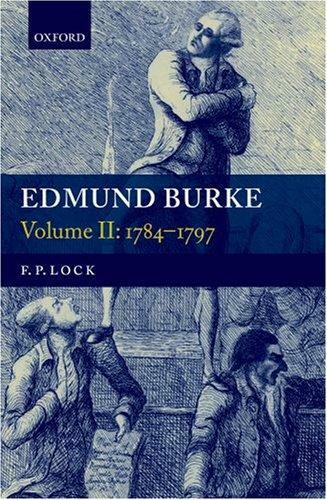 Lock’s biography of Edmund Burke span more than one thousand pages and, by the author’s own calculation, over twenty years of research. 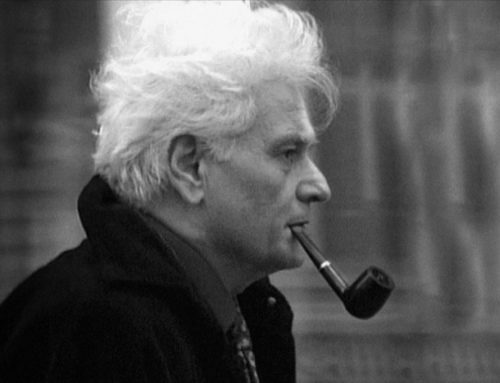 In structure, method, and argument, they constitute a work of extraordinary consistency and erudition, and one that, in its use of contemporary evidence for Burke’s life and thought, is definitive in the true sense of the word. Back in 1998, reviewers may reasonably have trimmed their opinions of Lock’s first volume for fear of being cut adrift by the second, but they will encounter few surprises here. Indeed, this most recent volume readily reinforces the former, as Lock frequently leads us back, implicitly and explicitly, to themes first raised there. Now is a good time, then, to offer some thoughts on how this enormous project has shifted scholarship on Burke, and where it points to ways in which we might further deepen our understanding of Burke and his legacy. Volume Two resumes the story of Burke’s life at one of its lowest points, the trouncing of the supporters of Charles James Fox (“Fox’s Martyrs”) at the election of March 1784 by the king’s appointee, William Pitt, the Younger. Burke had thrown in his lot with Fox after the death of Lord Rockingham in the summer of 1782, and, after Pitt’s triumph, he was never to hold government office again. “The people did not like our work,” he conceded, and with the people, the press, the new parliament, and the king now apparently ranged against him, he resigned himself to a future of opposition. In fact, by 1786, Lock writes, “Burke seem[ed] almost to enjoy the experience of defeat,” and, instead of tackling the greasy pole once more, Burke directed much of his considerable energy in his remaining years in parliament chiefly to two causes: the impeachment of Warren Hastings and the national and international implications of the French Revolution. After the conclusion of the impeachment and his retirement from the House, right up to his final illness and death in July 1797, Burke continued to throw himself into the struggle against Revolutionary France, which became increasingly associated in his mind with the threat of rebellion in his native Ireland. 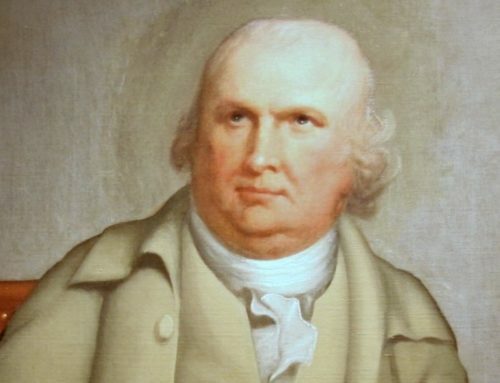 In all that time, the man who had established his reputation by defending party as a tool of political association in Thoughts on the Cause of the Present Discontents (1770), and by his staunch loyalty to Rockingham’s political connection, drifted, or was nudged, into increasing isolation, his little platoon diminishing as his rhetoric intensified. In attempting to make sense of the twists in Burke’s career and of its paradoxes, Lock does not follow the thematic search for coherence adopted by scholars such as Conor Cruise O’Brien in his famous study The Great Melody. Instead, he places his faith in what may seem to the reader a more conventional form of biography, aiming, “as nearly as possible,” to track down the “historical Burke” through painstaking reconstruction from the broadest possible range of primary materials. 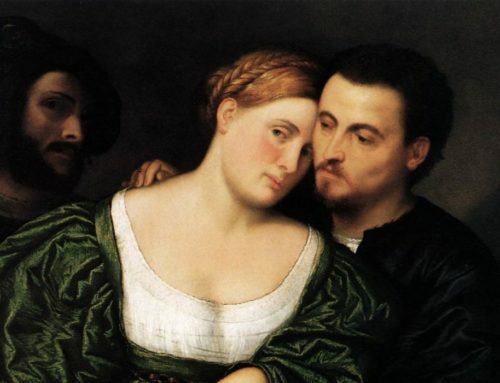 The result is a well-textured portrait of the subject that is embedded in an exhaustive but readily accessible narrative and displays a highly impressive grasp of the available sources. Unsurprisingly, Lock’s approach means that much the greater part of this volume is devoted to Burke’s campaigns over India and France; yet his careful incorporation of evidence sifted from surviving drafts of speeches and pamphlets, records of parliamentary debates, and minutes of the impeachment trial, adds freshness and vital tone to the picture. Even readers already persuaded of Burke’s considerable and accurate knowledge of India and France, or already convinced that Burke was driven to challenge Hastings and the French revolutionaries more by principles than by personal or political self-interest, will find much here to reinforce and enlarge their views. This is not to say that Lock uses his biographical method to avoid critical interpretation. In one splendid section of this book, he lays out a powerful refutation of contemporary postcolonial readings of Burke, and, while he is gentler with other schools of Burke scholarship, such as the Utilitarian and natural-law ones, his purpose is not so much irenic as transcendent. Indeed, his meticulous mining of correspondence and contemporary accounts of Burke appears intended to dislodge all such paradigms with the accumulated evidence of character traits and constitutional dispositions that are assumed to yield their own interpretative consistency. The dominant traits and dispositions that Lock identifies in this volume, and that invest the narrative details with an underlying pattern, will be familiar to readers of the earlier volume: Burke was (to select from some of the more frequently mentioned) a “professed defeatist [who] could never accept defeat”; he displayed a consistent “need to prove himself ‘perfectly in the right'” that left him “[c]onstitutionally incapable of apology” and “[t]emperamentally indisposed to admit error or inaccuracy”; he was “always liable to imagine dire if remote consequences” from the slightest encroachment upon the rights of property. Very largely, these observations, supported with evidence across the years, are plausibly deployed to help explain such puzzles as the flawed construction and self-defeating pursuit of the charges against Hastings, Burke’s seemingly bizarre and contradictory behavior during the Regency Crisis, the early intensity with which he advocated a war of extermination against Revolutionary France, and even his awkward, affecting refusal to admit Fox to his bedside during his final days. While Lock’s method here should never be confused with the speculative psychohistory that has occasionally intruded into Burke studies over the years, there are a few cases where Lock himself might appear to overwork the evidence for the sake of consistency. One such is his attribution to paranoia of Burke’s periodic rhetorical invectives against “hidden” cabals that were supposedly subverting parliamentary procedure— from the “king’s friends” in the 1760s to the “Bengal squad” or “India interest” in the 1780s. 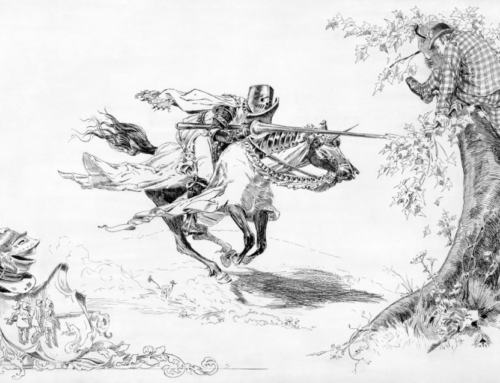 Despite, or perhaps because of, the chimeras Lock shows us prowling through Burke’s imagination, there is something stubbornly unconvincing in the view that the conspiracies Burke constructed from time to time were so outlandish as to merit Lock’s emphatic psychological explanation, especially given the highly personal nature of political associations at the time. Similarly unpersuasive is the weight Lock places on Burke’s “unshakeable self-righteousness”— a particularly significant charge given Burke’s oft-stated commitment to prudence and his reputation for moderate skepticism. The evidence Lock presents leaves us in no doubt that Burke exhibited bouts of self-righteousness; but we see at least as often in this volume an awareness on Burke’s part of the complexities of the human condition that could only subsist with a keen sense of the ambiguities, limitations, and paradoxes of his own motivations and powerful rhetorical gifts. Consider, for example, Lock’s own excellent, nuanced description of Burke’s religion and intellectual submission to a divine providence in human affairs, or his moving account of how Burke faced the personal and political whirlwinds that battered him in the last three years of his life. At such points in the narrative, the reader will hardly doubt that Burke’s character and spirit were tempered beyond the norm by the trials of Job, and Lock’s insistent repetition of certain character traits may appear as static as the ideological templates he rightly critiques. In its emphasis upon its subject’s character traits and dispositions, then, Lock’s biography represents a richly polemical step beyond polemics, and the same could be said of another feature of his biographical method—the space, or lack thereof, that he devotes to certain areas of Burke’s life. Perhaps most contentiously, given the current direction of Burke scholarship, Lock shows refreshing caution over treating Burke’s “Irishness” as a key to explaining his later writings. Instead of inflating his subject’s Irish background with speculative jargon about repressed colonial resentments, Lock keeps it strictly in step, politically, with the evidence of Burke’s developing concerns with Catholic relief, and, more personally, with Burke’s private relations with kin such as his sister Juliana and his paternal ambitions for his son Richard. Readers may, however, still feel the need to supplement Lock’s uncharacteristically brief and awkwardly-situated treatment of the “Tract on the Popery Laws,” and his interpretation of the thin material on Burke’s enduring relationship with his maternal relatives, the Nagles, with the perspectives of other scholars such as L.M. Cullen and Elizabeth Lambert. No such supplementing would seem necessary for Lock’s fascinating blow-by-blow account of the protracted trial of Warren Hastings, nor for his comprehensive and tightly focused coverage of the texts relating to Burke’s response to the French Revolution. In line with his intent to provide an historical rather than an intellectual biography, his treatment of both subjects is driven primarily by a reconstruction of the immediate circumstances that affected their form and timing, reinforced, in the case of France, with a vivid and instructive survey of the public responses to Burke’s successive publications. There is less space available, however, for reflections on how Burke’s earlier literary interests and associations defined his assumptions about some of the key concepts that were being contested in this pamphlet war. For example, Lock rightly draws attention to the significance of Richard Price’s use of the term “patriotism” in the Revolution Day sermon that famously enraged Burke, but there is still room for acquiring a firmer grasp of how Burke understood that term, and how the ideas of “public-spiritedness” that he had imbibed in his younger days were shared, as well as betrayed, by his antagonist. In the closing pages of the book, Lock turns to the unenviable task of summarizing a thousand-page study in as many words. Cautiously and diplomatically, he limits his judgments to the resolution of two apparent paradoxes that emerge out of his own biographical method: the first is that of Burke’s “acknowledged eloquence . . . and his habitual inability to persuade”; the second is how, if his thought can only be understood properly when embedded in its immediate historical context, we might explain the enduring influence of Burke’s writings upon readers in modern democratic and capitalist societies. Lock finds that each paradox may be resolved through those fixed character traits and dispositions— self-righteousness, inflexibility, insensitivity, refusal to compromise—that conveyed a timeless sense of moral rectitude and justice but “proved insuperable barriers to his reaching the high office that his other talents deserved.” Consequently, while admiring Burke’s “power of generalization,” Lock argues that, ultimately, “Burke’s supreme gift . . . was not his wisdom but his eloquence.” Even given the high praise that Lock bestows on Burke here—an English successor to Demosthenes and Cicero who ranks with Milton in his ability to extend the range and capability of the English language—I suspect that some of Burke’s admirers will still balk at the implications of that contrast. And that is as it should be. Far better than solving the riddle of Burke’s genius, Lock’s extraordinary achievement will fuel and refresh the search for a solution for years to come. Books on the topics discussed in this essay may be found in The Imaginative Conservative Bookstore. Reprinted with the gracious permission of Modern Age (Spring, 2009). Dr. Jeff Nelson reviews Volume 1 here. Ian Crowe is Associate Professor of History at Brewton-Parker College and the author of Patriotism and Public Spirit: Edmund Burke and the Role of the Critic in Mid-Eighteenth-Century Britain (2012). He is a Senior Fellow of the Russell Kirk Center and director of the Edmund Burke Society of America. His publications include An Imaginative Whig: Reassessing the Life and Thought of Edmund Burke (2005) and The Enduring Edmund Burke (1997). He studied Modern History at the University of Oxford and earned his Ph.D. in History from the University of North Carolina.